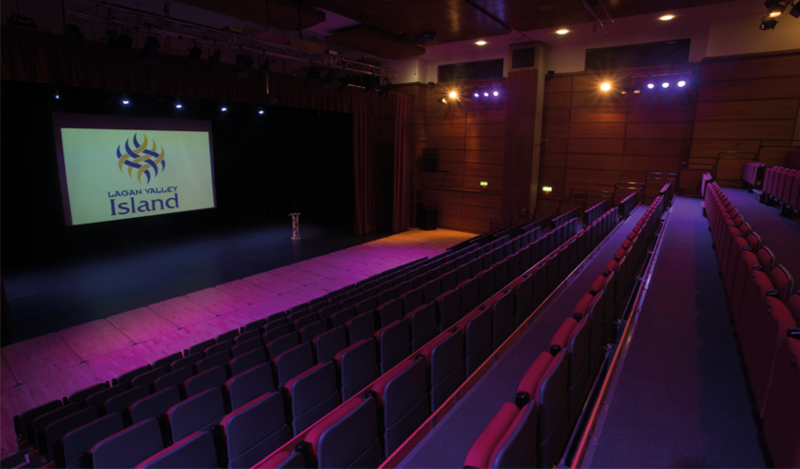 The Island Hall is Lagan Valley Island's largest performance space and can accommodate a fully seated capacity of 402 in tiered theatre seating and space for 12 wheelchairs. The spacious theatre offers excellent technical specification with stage, orchestra pit, extensive lighting and sound facilities and direct stage access for set-up. The Island Hall is perfect for full-scale musicals, dance school shows, theatre performances, bands/music performances, large-scale comedy nights, variety shows, big bands and choirs.